As of this writing, there are 613 customer comments and 24 customer comments for the Outdoor Nativity Store Holy Family Outdoor Nativity Set. I have read the customer feedback and then condensed the results into this review. I hope that this review helps you when shopping for the best outdoor Christmas decorations to add to your yard. The Outdoor Nativity Store Holy Family Outdoor Nativity Set is a beautiful Christmas decoration to display in your yard. It includes the nativity set figures (Mary, Joseph, cradle) and collapsible stable. The assembled scene measures 58″ wide x 44″ high (top of star). Mary and Joseph are 24″ high. This outdoor nativity scene sets up in minutes with just a hammer and stores compactly in a 24" x 18" x 4" box. 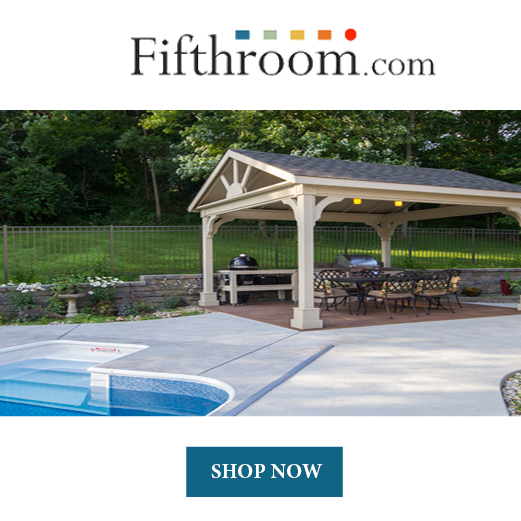 It is made from all-weather, fade-resistant PVC plastic. This product is made in the USA. Putting any display up in the winter months means that the product needs to be built well and be able to withstand extreme temperatures (depending on where you live). The Outdoor Nativity Store Holy Family Outdoor Nativity Set scored well with customers most as far as how well it weathered. A customer shared, "We are so pleased with how durable this nativity set is. Our winters in the Midwest can be very cold and windy. January temperatures can be well below zero with a lot of ice and snow. When we take our set down, there is never a change in it from when we put it up after Thanksgiving." Not everyone was happy though with how well it can withstand wind. It is going to depend on the intensity of the wind in your area. Another customer shared, "I only gave it 3 stars because it's not very sturdy and for 200.00 it should be well made. I was hoping it would last for years to come but I don't think it will. The stable blew apart with just a little wind. Stable pieces connect together like a puzzle. There are two plastic pieces on each side of the stable that hinge onto a nut/bolt. Both broke off. The company did say they would stand behind their product, however, it's just not that well made and to send it back so close to Christmas would have been a hassle. For the price, you could probably find something better. If the company really improves quality of this product, then I would give it five stars hands-down." Some people chose though to add support so it stands up better in the wind. A customer shared, "There is PVC pipe on the back of each piece. I placed some rebar in the ground and slid the piping over it. It prevents the wind from blowing it down. I have added lights. Of course, it is prettier at night." This company stands behind their products. Here are just one of the many positive comments about customer service. A person shared, "This year the Angel arrived and her hands were broken. It was quite obvious that the box was damaged in shipping. I called the Outdoor Nativity Store in CA. I provided them with pictures of the damaged box by email. The same day another Angel was shipped and we received it two days later. This winter the Manager was damaged. I ordered it in 2015. I believe it was due to vandalism but again the company stood behind their product and shipped us another one N/C. If you are considering a Nativity set for your Christmas Season, this is the company to go with. 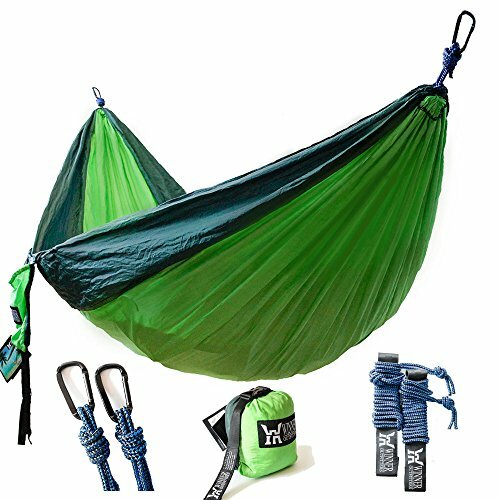 It is such a comfort to know that there are still reputable companies out there who care about the quality of their product and keeping their customers happy." This is a very easy nativity scene to set up. The majority of the comments were very positive pertaining to assembly. Here is one of those comments, "I'm very happy with my nativity! The package arrived quickly and was deceptively small. Once everything was assembled, it was perfect for my small front garden. The box included directions for how to assemble the nativity and a link to watch video directions. It was quite easy to do." You only need a hammer as far as tools go. The hammer is not included so make sure to have one handy. 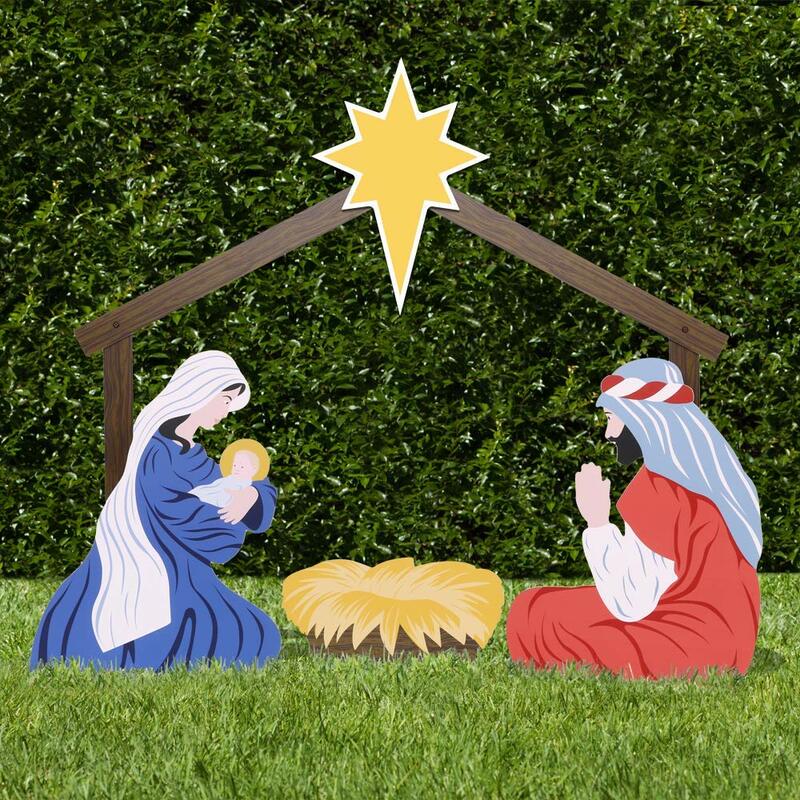 A customer shared, "This nativity set is easy to set up, seems to be durable, and looks really good on our front lawn. Overall time to set up took just under 15 min, and that includes reading the directions. The only tool required is a mallet." A spotlight is not included. However, you may want to consider buying one. When it becomes dark in the evening, you won't be able to see this Christmas decoration without some type of light. Some people chose to string lights around the figures and around the stable. But the most popular way to illuminate this nativity display was to add a spotlight to it. A customer shared, "I decided to take the advice of other reviewers and I bought a solar powered spotlight to show it off. The effect was perfect! I very much prefer a religious theme for my Christmas decorations and this was one of the nicest nativities I've seen and it's crafted in California, USA." The extras that come with The Outdoor Nativity Store Holy Family Outdoor Nativity Set are a really nice added touch. You will get straw for this manger scene and a Christmas CD that you can choose to play by the nativity. How nice it will be for people walking by to see the display and also hear the music. A customer shared, "It even came with real hay and a Christmas music cd. Delivery time was just before Christmas, as promised. And it is made in America." Some people commented that they bought The Outdoor Nativity Store Holy Family Outdoor Nativity Set for church use. Just keep in mind that it is not life size. If you have a small area outside of your church or if you'd like to use it inside your church, it should work very well. A customer commented, "We used this for a church window - everyone loved it - well made, assembly was easy." If you are liking The Outdoor Nativity Store Holy Family Outdoor Nativity Set, you can always add on. This is part of a larger set. Some people chose to buy this nativity set first and then buy more pieces the next year. A customer shared, "I put the spotlight about 8 or 9 feet from the Holy Family: It looks wonderful! The colors are vibrant, both day and night. Several neighbors have already complimented this display. I took photos of my daughter and nieces around this Nativity, and it came out adorable --- "sendable quality." Perhaps I will order more additions (Wise men, shepherds, angels, etc. ), next year, as the shipping box had an order form enclosed. Obviously, am I very happy with this Nativity set, and would recommend it to anyone, including non-mechanical type people like myself. The instructions are clear and step-by-step." You can move the figures around to add depth any way that you'd like to with this display. A customer shared, "To add a bit of dimension, I placed Mary a bit closer to the manger and set Joseph a couple inches more forward. Plus, the hay helps to add depth, as well." The Outdoor Nativity Store Holy Family Outdoor Nativity Set includes the nativity set figures (Mary, Joseph, cradle) and a collapsible stable. The assembled scene measures 58″ wide x 44″ high (top of star). Mary and Joseph are 24″ high. Set up is easy. It then compactly fits in a 24" x 18" x 4" box. 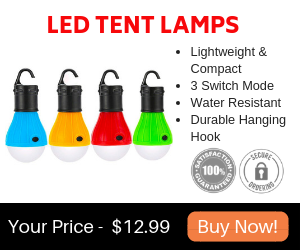 It is made from all-weather, fade-resistant PVC plastic. The Outdoor Nativity Store Holy Family Outdoor Nativity Set is made in the USA. If you like this nativity set you can add on other figures made by the same company. Overall, people were very happy with The Outdoor Nativity Store Holy Family Outdoor Nativity Set. Here are some top questions that I found for people considering buying the Outdoor Nativity Store Holy Family Outdoor Nativity Set. Is the lighting included? Unfortunately, the lighting is not included. Can I purchase different individual pieces to add to this set? Yes, you can purchase other pieces to add to this nativity scene. All additional pieces are sold by this same company. Does this product come with a storage bin? No, but it can be stored in the box that it was shipped in.